A 28-year-old ad sales exec stops at nothing to climb her way to the top of the San Francisco social ladder. Brad is about to hook up with the girl of his dreams, but runs into a problem, no condom. So Brad sets out into the night to find one, running into many obstacles along the way, while not knowing his best friend, Leah is in love with him. Multicharacter teenage comedy about high school graduates with different agenda of life on graduation night. A young woman takes a job at a massage parlor to support her family when her husband is unable to work, and soon finds her life spiraling out of control. It takes a tragedy to teach the young businessman Ian to put love ahead of work and open up to his musician girlfriend Samantha. Audrey Hepburn: [after receiving an Academy Award] I would like to thank my mother, who taught me to stand up straight, sit erect, use discipline with wine and sweets, and only smoke six cigarettes a day. Jennifer Love Hewitt is all wrong and the film should have either been made much better or else not at all! Let me begin by saying that I am extremely biased when it comes to Audrey Hepburn therefore it is perfectly logical from my point of view that no one can play Audrey Hepburn but Audrey Hepburn. Miss Hewitt is (its been said before many times) too full when it comes to her bosom and she didn't flash a huge smile like Audrey did. Audrey's smile could light up a whole room (even better than Julia!) and Hewitt could barely light a candle in a corner so to speak. Her hair was pathetically streaked in the "Tiffany" scenes whereas Audrey's streaks blended perfectly with her natural brown tresses. 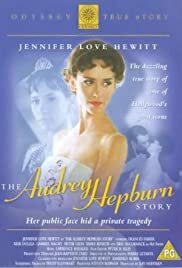 Also, Audrey's hair was butched at the Oscar ceremony... Hewitt's was the same as it was during the filming of "Roman Holiday". As for the rest of the cast, Emmy Rossum was much better as young Audrey than Hewitt. 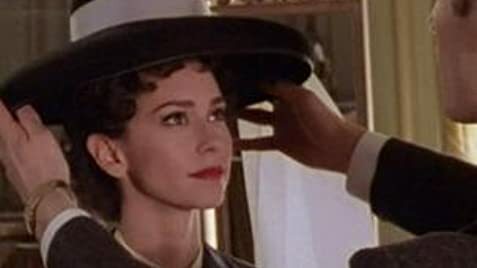 Frances Fischer (of "Titanic" fame... she was Kate Winslet's self-righteous mother) was believable as Audrey's mother, Baroness Edda Van Heemstra. Eric McCormick was too contemporary to play Mel Ferrer, plus he didn't look a thing like him; the same applies to Gabriel Macht who played Bill Holden but Michael J. Burg captured the essence of Truman Capote to the button. The most embarrassing of all was Ray Landry as Humphrey Bogart; he had way too much makeup on him to look meatier where Bogie was a skinny, ugly railing. Plus, his accent was pathetically forced like he was trying way too hard to impersonate Bogie and he still couldn't do a good job. The film in short, should never have been made... no one can play Audrey Hepburn but Audrey Hepburn!